At CC Marie, we strive to ensure that every wedding detail feels authentically you with an underlying heartbeat of imagination and creativity. We transform ordinary spaces into extraordinary experiences, and let you shine on your most important day. We look forward to guiding you on your planning journey. Below please find a small sample of our most popular coordination/planning opportunities. Please contact Christine for special military pricing! 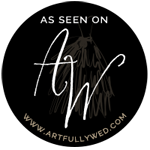 Why hire a wedding an event/wedding planner? Planning for a wedding or special event can be a truly exciting time, however there are so many details that go into making a beautiful event run smoothly. With a busy career and personal life it can be difficult for couples to find the time and resources needed for such a task. CC Marie has the knowledge and experience needed to recommend the most reputable vendors, negotiate prices and contracts, handle the myriad of details, and greatly reduce stress throughout the planning process. Can I afford a planner? Yes! An event planner is part of your budget, not an added expense. I love new beginnings and want to help you start yours with a beautiful celebration. We will work with you to produce a fantastic event, all within your budget. Absolutely! Additional fees may apply to cover travel expenses.